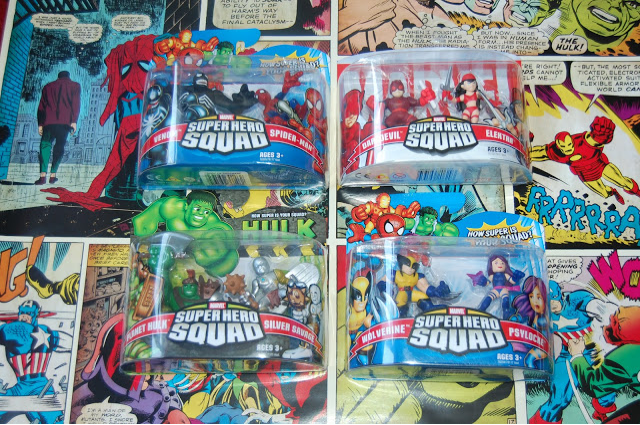 Gifts from the Pirates: "Alright squaddies, time to hero up!" 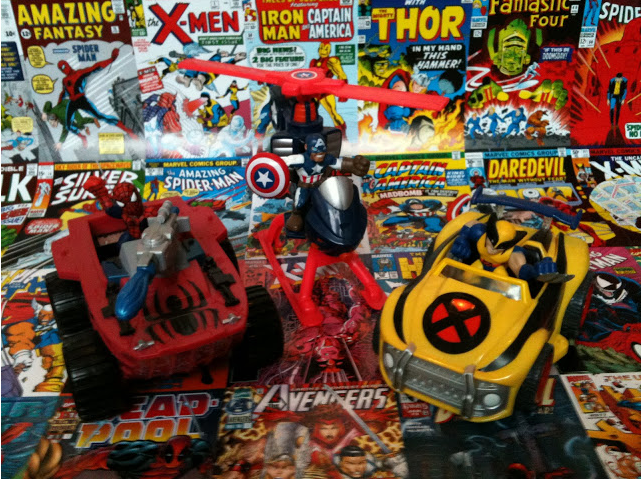 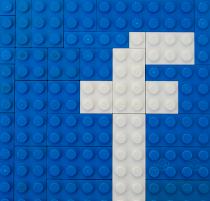 When i first started writing the blog i planned on it mainly being about toys and what me and the boys collect but as time has gone on its become a lot more personal and although i do write about toys on many of the posts there is a lot of posts about the general things that we get up to. 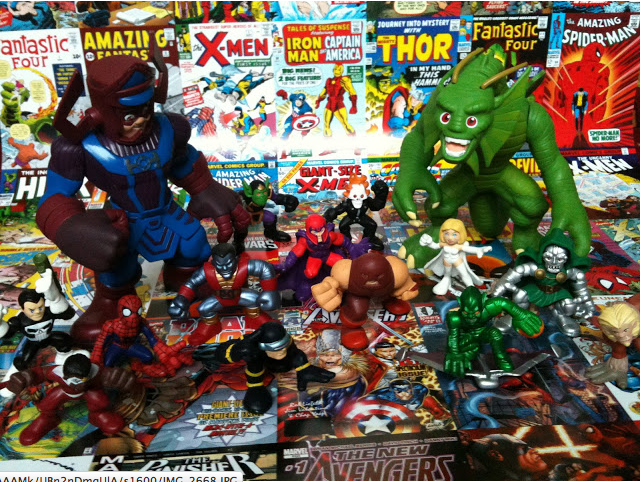 A few of the earlier post were taken up by a collection i started for Opeie before he was even here with us. 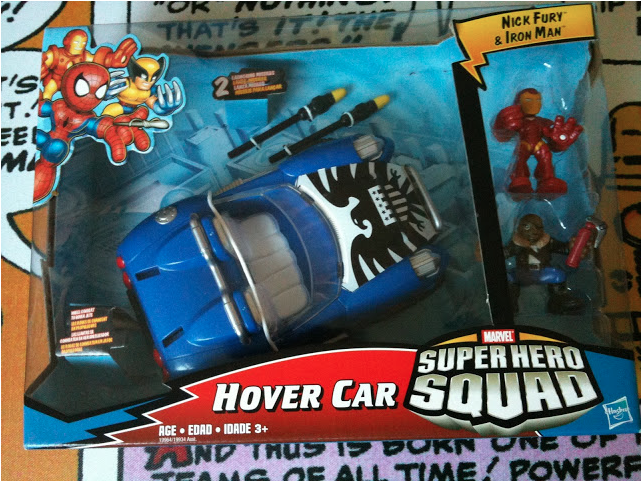 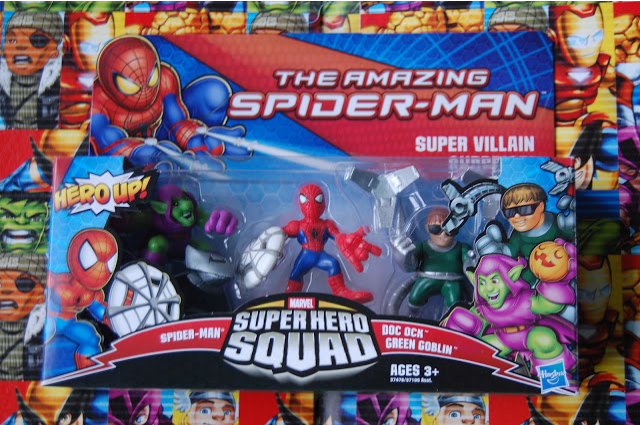 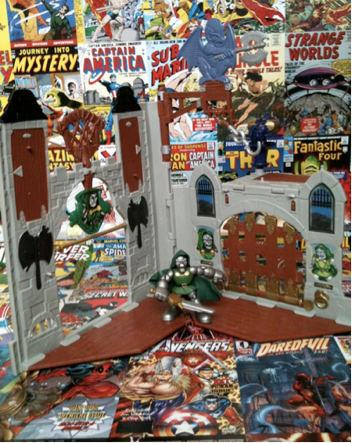 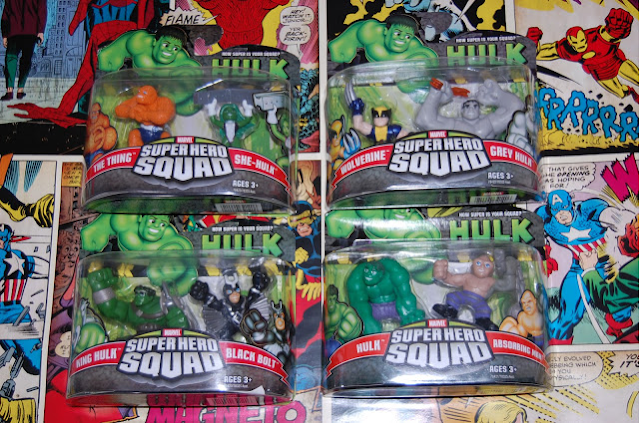 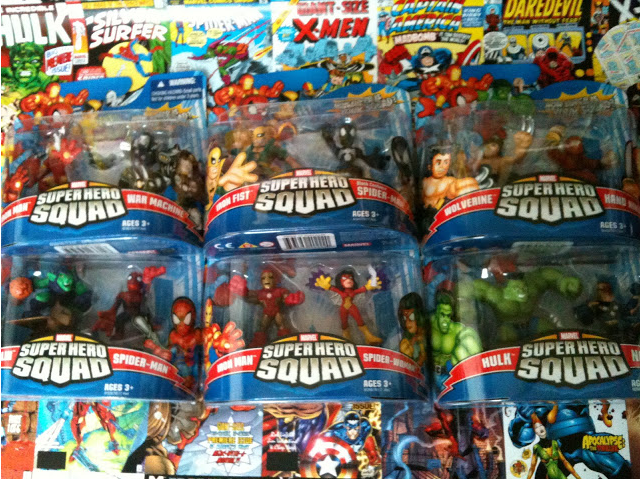 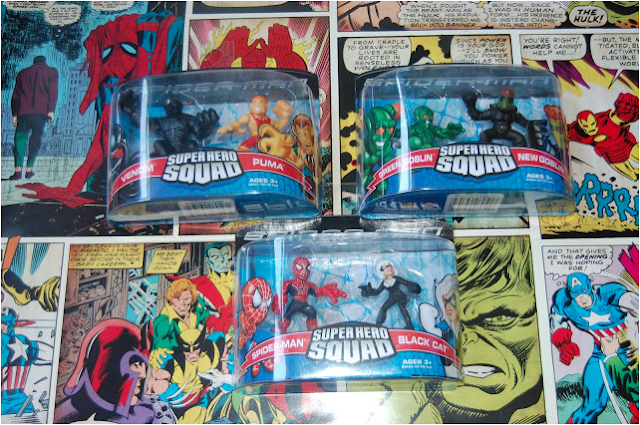 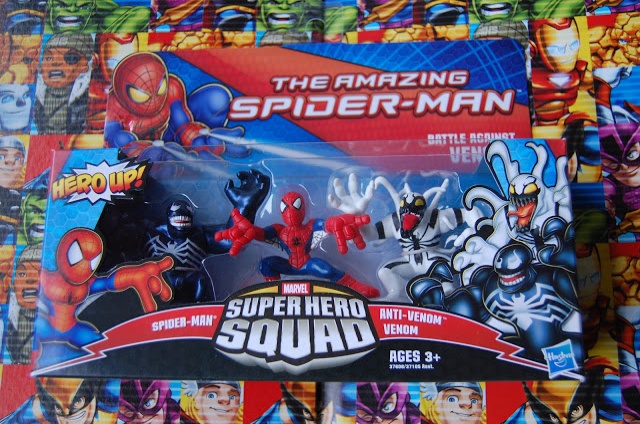 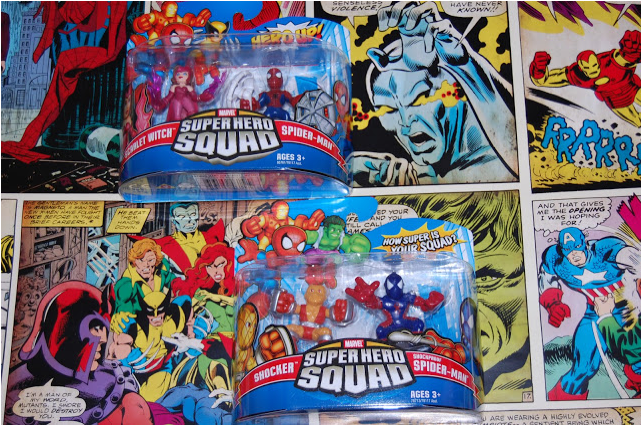 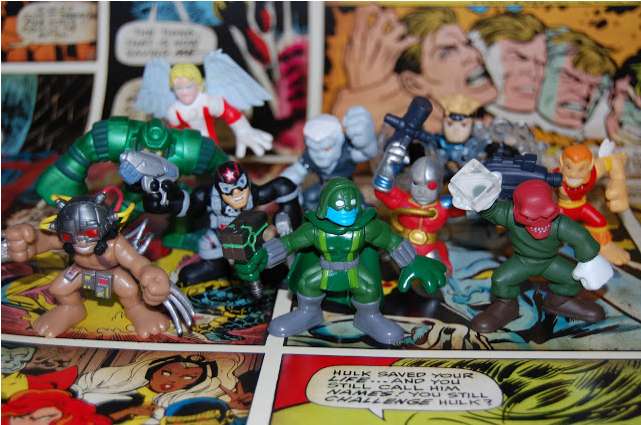 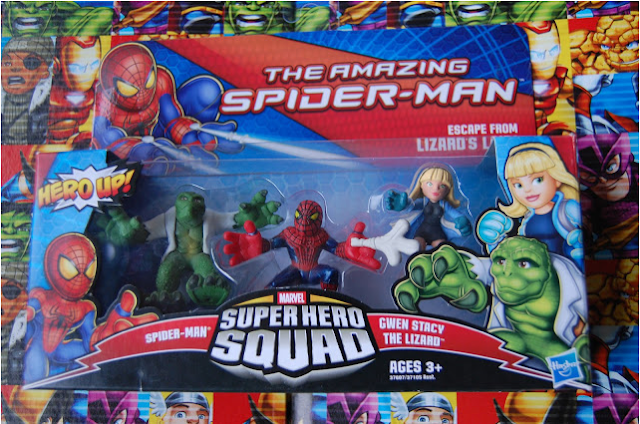 I'm a huge Marvel fan and on finding out about the Super Hero Squad range and how many characters there were available i knew i wanted to start collecting them for that boy of mine. 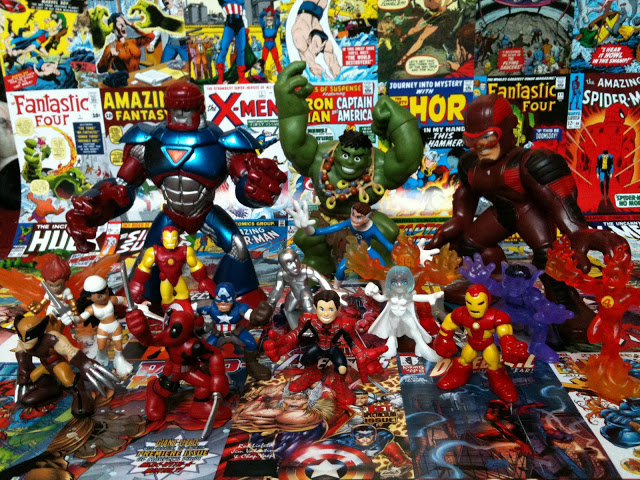 It's been over two years now but for the last 6 months i hadn't brought anything to go with the collection. To be fair they have been in a sealed crate and basically i had forgotten about them... that is until last week when i decided to have a look on eBay and noticed that quite a few had been listed (strange because apart from the 3 special Amazing Spider-man boxes and the 3 Avengers boxes they haven't released any for a while). 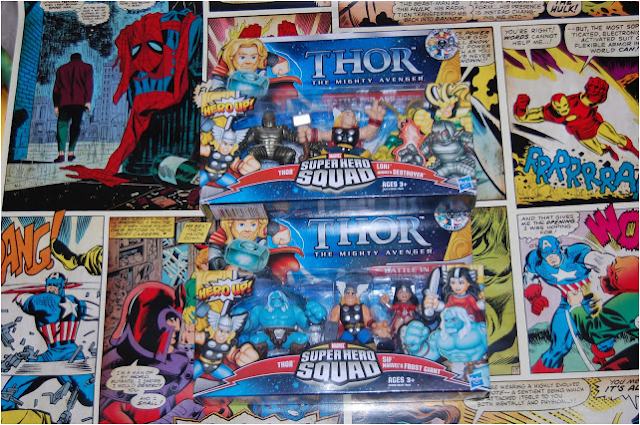 I purchased 2 boxes but that afternoon i realised why they had re surfaced on eBay. 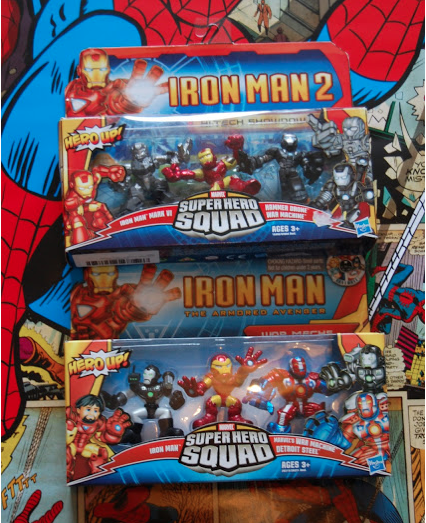 I had popped in to our local B&M to buy some tea light candles and as usual i had a quick look in the toy isle and there staring back at me were a couple of boxes i needed for my collection. 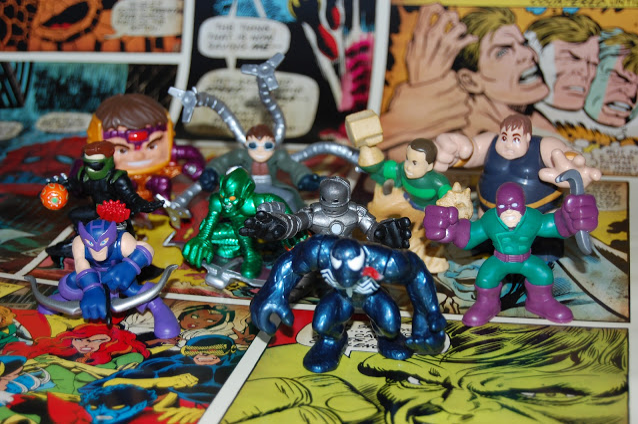 Rather than just waffle on about them as I'm sure that might just come across a little boring here is the photos from the rest of my collection and the previous posts. 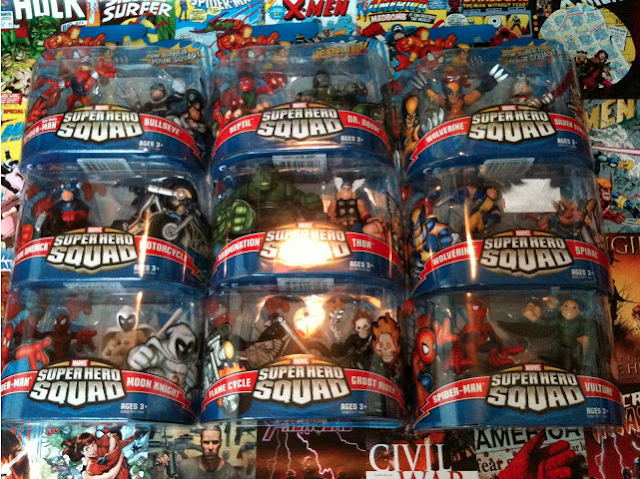 I really hope that Opeie continues to be into super heroes or these are just going to end up sealed in that crate until i get my own room for my toys.